Compare what you see under the microscope to nearly 2,000 superb images that capture the appearance of a complete range of pathological entities and help you relate their characteristics to their specific classifications. Apply the latest knowledge on FNA biopsy, molecular biology, and cytogenetics. Make rapid and effective decisions with the aid of extensive algorithms, and access information at a glance with abundant tables and graphs. 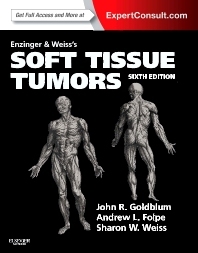 Take advantage of all of the essential clinical and prognostic data on soft tissue tumors that are necessary to formulate complete sign-out reports. Navigate through the book quickly thanks to summary outlines at the beginning of each chapter, a color-coded page design, and a consistent approach to every entity.